Fr. 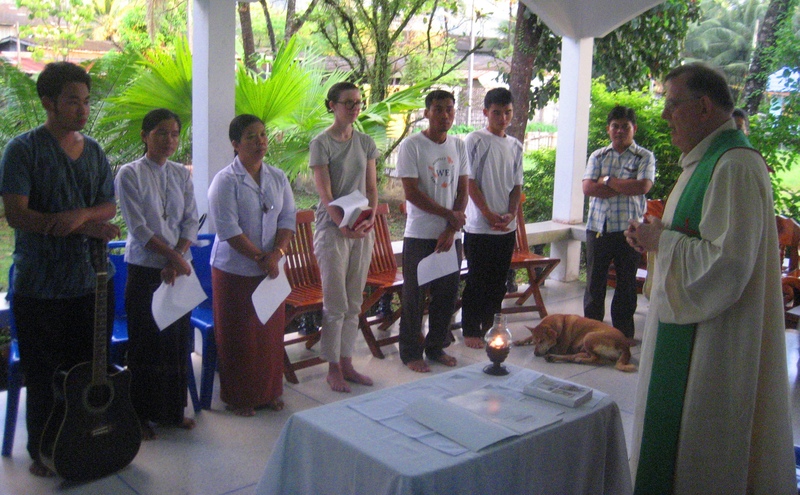 John celebrated Mass together with the staff and volunteers of MMR. Members of Marist Ranong Community in Thailand were delighted for the visit of Fr. John Hannan, sm, Superior General of the Marist Fathers last November 27 – 30 . During his 3 day visit Fr. John was able to experience the work of Marist Mission Ranong (MMR) among Burmese migrants in the south of Thailand. The team was inspired and greatly encouraged with the support that Fr. John extended to the staffs and volunteers of this humble team.